Former Attorney General Will Work With Airbnb To Address Discrimination : The Two-Way The short-term rental platform has hired Eric Holder as outside counsel to help it craft a new anti-discrimination policy. Individuals and researchers have reported racial bias by the site's users. The logo of online lodging service Airbnb is shown on a screen in the Airbnb offices in Paris in 2015. Airbnb, the popular site that lets people rent rooms and houses, is hoping to fight racism and discrimination on its platform — and it's recruited former Attorney General Eric Holder to help. The company has spent more than a month reviewing its policies, after widespread reports of a pattern of bias against people of color looking to rent rooms. The review is still ongoing, the company said in a blog post Wednesday, but they've already started taking some steps to address the problem, including bringing in Holder and other experts to help write a new anti-discrimination policy. The site also plans to offer training about "unconscious bias" to more hosts, and hire employees "whose full-time job will be to detect and address instances of discrimination." This spring, NPR's Hidden Brain explored the issue of racial bias on Airbnb. Quirtina Crittenden, a user on the site, described getting declined for room after room — until she changed her profile image to a landscape photo, and shortened her name to "Tina." After that, getting a room was no problem. "Michael Luca and his colleagues Benjamin Edelman and Dan Svirsky at Harvard Business School ... sent out 6,400 requests to real AirBnb hosts in five major American cities—Baltimore, Dallas, Los Angeles, St. Louis, and Washington. "All the requests were exactly the same except for the names they gave their make-believe travelers. Some had African American-sounding names like Jamal or Tanisha and others had stereotypically white-sounding names like Meredith or Todd. "In a separate study, Luca and his colleagues have found that guests discriminate, too, and black hosts earn less money on their properties on Airbnb." Another study found that Asian-American hosts make less money than white ones. When NPR's Code Switch reached out to individual Asian-American hosts, they said they didn't feel like race played a factor in their room prices. But researchers examining the issue — like researchers looking into bias against black Airbnb users — noted that subconscious bias can play a powerful role in decision-making. "We will not simply 'address the issue' by doing the least required for liability and PR purposes. I want us to be smart and innovative and to create new tools to prevent discrimination and bias that can be shared across the industry." Former Attorney General Holder will be assisting as outside counsel, working with civil rights attorney John Relman to help write a new anti-discrimination policy. In a statement, Holder said he's looking forward to helping Airbnb "craft policies that will be the model for companies who share Airbnb's commitment to diversity and inclusion." Airbnb says they will require all users to read and commit to the policy. Chesky also admits that the company has failed on this issue in the past — with inadequate transparency, and with a "lack of urgency" on addressing discrimination. 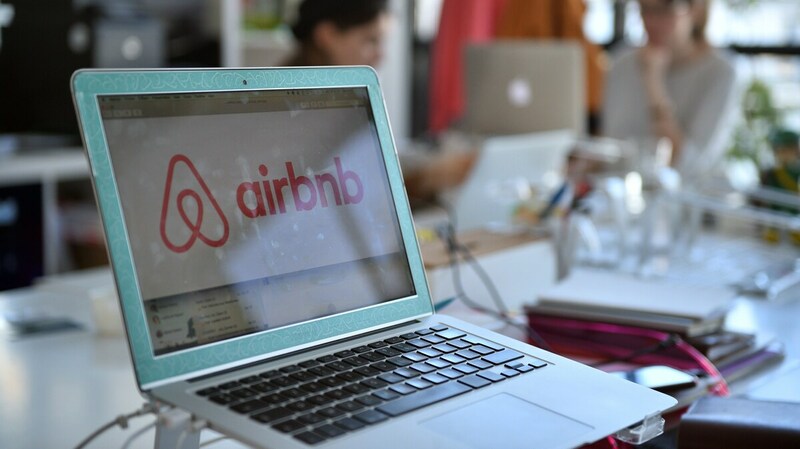 "Joe [Gebbia], Nate [Blecharczyk], and I started Airbnb with the best of intentions, but we weren't fully conscious of this issue when we designed the platform," Chesky wrote. "I promise you that we have learned from the past and won't repeat our prior mistakes and delays."